Simon Erjavec : Elan Ripsticks? Just a simple answer: YES. Ripstick skis are totally new skis from Elan and they come in five different geometries. The widest one is 116mm underfoot and they also come in 106, 96, 94W and 86. 1. They are light as... you know what. 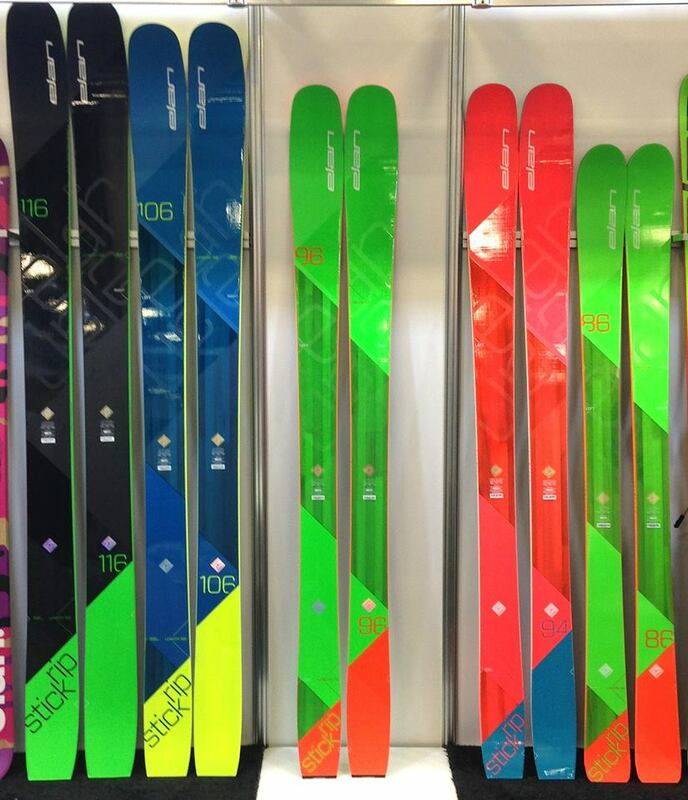 116 model comes at 1840g per ski at 185cm. 2. They are wide, but they can feel like slalom skis. You can charge it down at full speed or if you like narrow couloirs, you can easily turn. I do both. Ripsticks have Amphibio profile. That means skis have at the same time full camber on the inside edge and rocker on the outside edge. 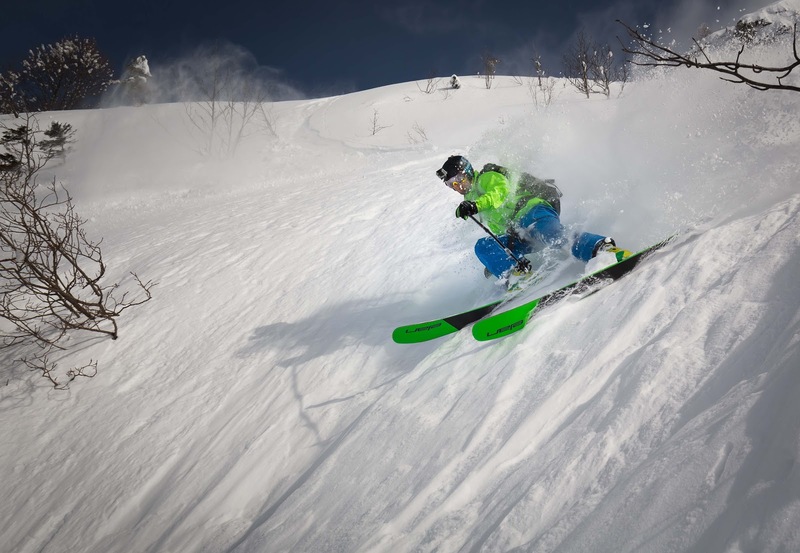 Amphibio makes skis more playful and easy to turn, but doesn’t sacrifice the edge grip when you need it. 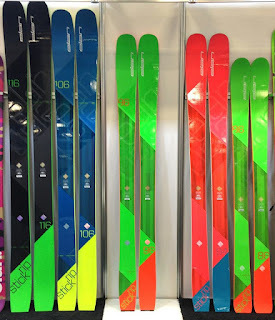 Ok, so why are those skis so light and stable? They are made of wood, carbon and special composites in the tip&tail. Carbon tubes were inserted into the woodcore for stability and weight reduction while vaportip inserts are the main reason for smooth ride and vibration reducing. I have been riding them in two positions now. -1 from the Ride and +1 now. When I had taken them outside for the first time, I was really struggling for the first two or three turns.. Especially because I am a bit back seated person. Then I somehow manage to study body positions for a while and skiing became normal. Now I ride +1cm from the ride position (Thanks Bine) and the difference is quite a big one. Bine even rides them at +2,5cm. I think most of you will feel good on Ride position, but you can push the position a bit forward. Skis are incredibly playful. It's like they are 100 and 130mm under foot at the same time. 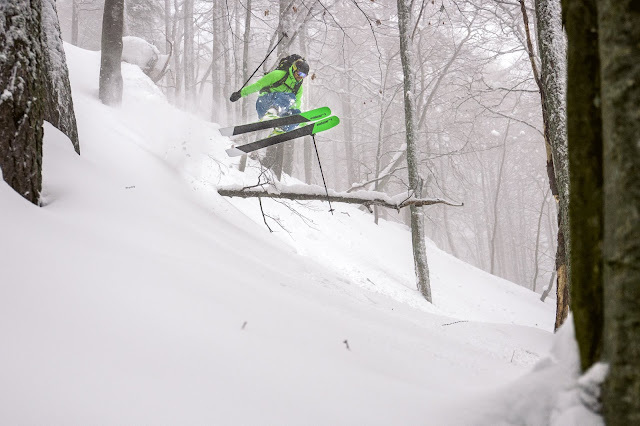 You can ski EVERYTHING. I have ridden them on powder, hard and soft snow, groomed terrain, ski resort, even on ice. And I just couldn't be happier. Even though powder is what you should be looking with those skis, you can ski entire mountain. From the top to the bottom.